Millions of Chinese will now be able to buy from Apple’s App Store through the country’s major domestic banking card provider, in a deal that could help the company squeeze even more revenue from one of its biggest markets. China is already Apple’s second largest market for app downloads. But previously, Chinese customers wanting to buy paid apps had to use an international credit card service such as Visa, or go through several steps to transfer funds from a local bank account. Starting on Monday, however, Apple’s App Store will now accept China’s UnionPay as a payment option for customers in the country, the company announced. Chinese users can now link their Apple ID with a UnionPay debit or credit card to make “one-tap” purchases on the app platform. The Chinese payment provider has released over 4.5 billion UnionPay cards across the world, according to Apple. “The ability to buy apps and make purchases using UnionPay cards has been one of the most requested features from our customers in China,” said Apple senior vice president Eddy Cue in a statement. 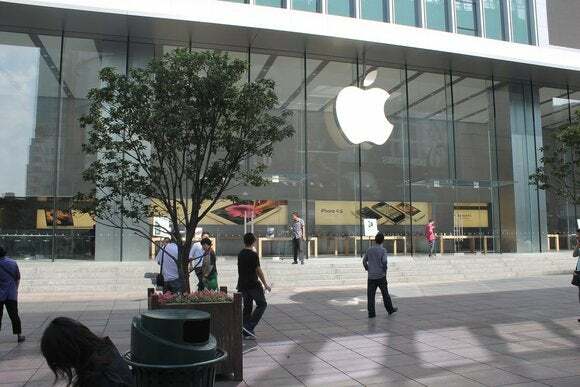 Apple expects that China will eventually overtake the U.S. as its number one market one day, and so the company has been building new stores in the country and striking up partnerships with local players. Even though China may be Apple’s second biggest market for app downloads, the country still lags right behind second place Japan in terms of App Store revenue brought in, according to analytics firm App Annie. The U.S., meanwhile, remains as the biggest market. In China, sales from Apple’s app store are “still on a strong upward trajectory,” App Annie said in a July report, adding that revenue jumped 20 percent from the first quarter to the second quarter. Much of that growth came from Apple making a deal to finally sell iPhones through the country’s largest carrier China Mobile early this year. Starting this October, Apple also began selling its newest iPhones in the country, and sales of the devices are expected to be big, according to analysts. In addition, the new iPhone 6 and 6 Plus come with Apple Pay, the company’s new mobile payment service that already has launched in the U.S. On Monday, Apple made no mention of Apple Pay in its latest Chinese partnership. But the company’s CEO Tim Cook said last month he wants to bring the payment service to China. To do so, Apple will have to find local partners. UnionPay could eventually be one of them. But Apple has said its looking at a possible tie-up with another Chinese payment service, this one affiliated with Internet giant Alibaba Group, the largest e-commerce company in the country.